With Honest Technology's Photo DVD, anyone can create lasting video treasures from photos and pictures! In three easy steps, even the most inexperienced person can produce interesting personalized photo shows on CD or DVD, complete with transitions, music and narration. With Honest Technology's Photo DVD, anyone can create lasting video treasures from photos and pictures! 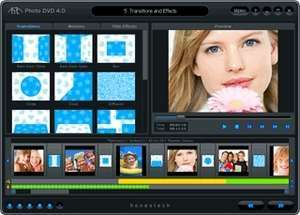 honestech Photo DVD 4.0 is a shareware program and can be used as a demo to try the software until the free trial period has ended. A full version of the program is available after the trial period ends. For security reasons, you should also check out the honestech Photo DVD download at LO4D.com which includes virus and malware tests. Additional screenshots of this application download may be available, too.